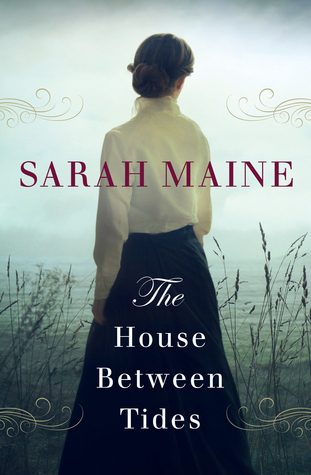 The House Between Tides is undemanding light fiction, and therefore just the right choice for me at the moment. The Dark Secret makes its appearance promptly: there’s a body under the floorboards in the derelict mansion. And a series of unrelated events delays the forensics for a good long while to keep the reader guessing about the gender of the murder victim. Meanwhile the tension builds in both time periods as Beatrice finds that her husband (who is supposed to be painting masterpieces) is not only shooting rare birds for his collection but also resisting appeals to restore land to its rightful C19th tenant-farmers, while Hetty finds herself being steamrollered by her would-be lover Giles who wants to ignore the wishes of the local community and the environmental values and develop the mansion into a luxury hotel. Like Beatrice and Hetty, the unnamed narrator of Rebecca, as we all know, lacks confidence in herself. She lets herself be bullied by Mrs Danvers and she believes that as a second wife she is a poor replacement for the drop-dead gorgeous Rebecca. She has no one to confide in and she doesn’t unburden herself to Maxim because she thinks he’s part of the problem. Rebecca’s unnamed narrator is not an easy character to render successfully without readers damning her as a doormat but Daphne du Maurier pulls it off in a way that’s not quite so easy with contemporary characters. Feisty young female readers don’t have much patience with 21st century women who don’t stand up for themselves. Maine’s Beatrice and Hetty both lack agency and both of them let male characters run the whole show. Despite this weakness, The House Between Tides is good entertainment and I quite enjoyed it. “We have all learned to recognise this cue by now, eh?” Well actually No. I’ve spent my whole life missing cues. Though if there’s a spaceship on the cover I can generally pick it for science fiction. *repentant chuckle* I’m sorry, I was just being scornful about the cliché cover design!